The Central Library of Rochester & Monroe County consists of two buildings, the Rundel Memorial Library building, opened in 1936, and the Bausch & Lomb Public Library Building, opened in 1997. Located in the heart of Downtown Rochester, NY, at 115 South Avenue, the library offers the residents of the City and County a large collection of books, (both print and electronic) magazines, music, movies and more. In addition to its collection of materials, the Central Library provides quiet study spaces, public meeting rooms, a variety of free programs and opportunities for community engagement. Closed Saturdays from July 6, 2019 through Saturday, August 31, 2019. Mon, Tues, Wed, Fri — First floor of the Bausch & Lomb Public Library Building opens for limited service at 9 am. Teen Central hours differ, and can be viewed on the Teen Central page. Closed Saturday, May 11, 2019 for the Rochester Criterium Race, as all of the streets around the library will be closed. Closed Friday, October 18, 2019 for staff development. The Friends & Foundation of the Rochester Public Library offers a wide selection of new and used items for sale in the Library Store. Inventory includes books, CDs and DVDs, educational toys and games, and stationery and gift items. Proceeds from all sales benefit the Rochester Public Library. Write a new resume or work on your existing resume. Customize your experiences into a focused resume for a specialized job. Bring your work history and we can teach you how to incorporate it into a resume using Word 2010. Call 428-8020 or register online for this class. Relay call for Sign Interpreter request (2 wk. notice please.) Spanish Interpreter is available upon request. Join us for short films on the last Friday of the month at noon. Bring your lunch and spend an hour (or less) enjoying short films from some of the most innovative filmmakers working today. No registration required. This month's theme is "Fish Out of Water." Come and take part in an intense 45 minute cardio and body weight training session freaturing P90-X Smoothie Fest Get a taste of healthy. We'll show you how to prepare a tasty 2 minute treats. There is no better resource for finding your ancestors than the Federal and State Census. From 1790-1940, we have them all at our finger tips today. Even if you have researched them before, it’s time to take another look. Learn to understand the process and avoid traps with online job searching. Learn how to search job-sites such as Indeed.com, post a resume and apply to online jobs. No prior computer experience required. Call 428-8020 or register online for this class. Relay call for Sign Interpreter request (2 wk. notice please.) Spanish Interpreter is available upon request. Start your weekend on a happy note! We have song lyrics and ukulele chords on the big screen, and sing and strum together in a relaxed, welcoming space. The group is geared towards beginning ukulele players, but all levels are welcome- and folks who just want to sing or play other acoustic instruments are encouraged to join us. Children with responsible adults are welcome, too. Ukuleles provided on a first-come, first-served basis. Glass artist Nancy Colsman will demonstrate how she creates stained glass works of art. Have your questions about working with glass answered, or just relax while watching something beautiful being created. Learn about using the internet through guided visits to several websites. Course requires knowledge of mouse use. Call 428-8020 or register online for this class. Relay call for Sign Interpreter request (2 wk. notice please.) Spanish Interpreter is available upon request. Smile! Dental care is now available at the Central Library. Rochester Regional Health's mobile dental Unit is a fully functioning dental office on wheels! They can do cleanings, exams, and procedures, even if you don't have insurance. WHO: Reserved for teenagers. WHERE: Bausch & Lomb building, 2nd floor, imagineYOU lab WHY: Two sessions of a 2-hour course that trains students to properly use the imageYOU recording studio.Upon completion of the course, students will gain unsupervised access to the studio. Learn about using Microsoft PowerPoint presentation software. Create slides in preview mode and add images and text with slide transitions and animations. Call 428-8020 or register online for this class. Relay call for Sign Interpreter request (2 wk. notice please.) Spanish Interpreter is available upon request. Learn about what can be stored in a spreadsheet using Microsoft Excel 2010. Formula creation and cell formatting will be taught through a modifying an existing spreadsheet. Course requires knowledge of mouse use. Call 428-8020 or register online for this class. Relay call for Sign Interpreter request (2 wk. notice please.) Spanish Interpreter is available upon request. Free and Fast Sexually Transmitted Infection (STIs) Testing! Need to be checked for sexually transmitted infections (STIs)? Want to do it quick? 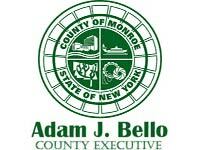 The Monroe County Department of Health will be on site doing RAPID testing (just 20 minutes! ), so you can get the results fast, for the following infections: • HIV • Syphilis • Hepatitis C • Gonorrhea and Chlamydia (with a urine sample, you will called if positive) All results are confidential. The Legacy of Marsha P. Johnson: Happy Birthday, Marsha! Learn about what can be stored in a spreadsheet using Microsoft Excel 2010. Formula creation and cell formatting will be taught through modifying an existing spreadsheet. Course requires knowledge of mouse use. Call 428-8020 or register online for this class. Relay call for Sign Interpreter request (2 wk. notice please.) Spanish Interpreter is available upon request. Learn how to use the many features of your Smartphone. Download apps, control your settings and customize you phone to how you want to use it. Bring your own Smartphone to class and connect it to the library’s free WIFI. Call 428-8020 or register online for this class. Relay call for Sign Interpreter request (2 wk. notice please.) Spanish Interpreter is available upon request. The Central Library of Rochester & Monroe County is hosting two American Creed Community Conversation events. The first event will be held on Saturday, April 13th at 1 pm with a screening of the PBS documentary AMERICAN CREED. The screening will be followed by a Community Conversation facilitated by Beth Adams of WXXI. The second event will be held on Wednesday, April 17th at 7 pm. during this event, themes of the film will be discussed further by a panel, facilitated by Dr. Timothy Kneeland, chair of the history department at Nazareth College. The exhibition “Stonewall: 50 Years Out”, commemorates the 50th anniversary of the uprising at the Stonewall Inn in NYC which sparked the modern LGBTQ+ Civil Rights Movement will be on display at the Central Library April 5- July 20, 2019. Remembering “Rochester’s most distinguished man of science,” Lewis Henry Morgan. Stop over to the Local History & Genealogy Division on the second floor of the Rundel Memorial Library building to learn more about this remarkable Rochesterian. On display now through June 15, 2019. The exhibition Stonewall: 50 Years Out, commemorates the 50th anniversary of the uprising at the Stonewall Inn in NYC which sparked the modern LGBTQ+ Civil Rights Movement will be on display at the Central Library April 5- July 20, 2019.